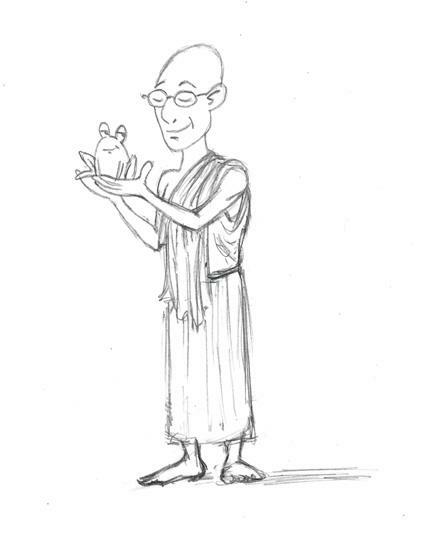 Today I present a simple monk and a frog he found. For this one, I decided that I really wanted to do a simpler coloring style than with the images I’ve posted up previously. 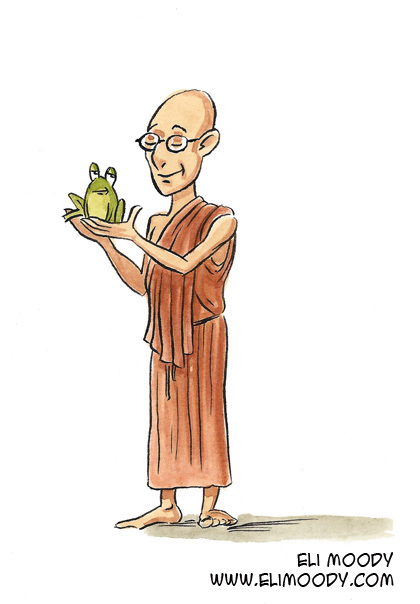 While learning to use watercolors, I was initially attempting to emulate the style of an illustrator named Peter de Seve, however, it became clear to me that I wasn’t really ready to try to emulate his style of painting. I still like his style a LOT, but I decided that it would probably be better to get a handle on a simpler style of coloring, and then maybe move up. 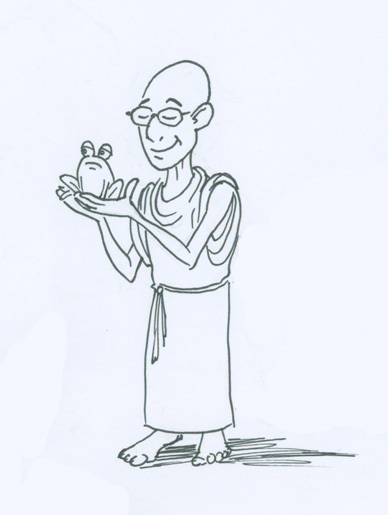 This entry was posted in illustration and tagged animals, eli moody, frog, humans, illustration, monk, pen and ink, pencils, watercolor. Bookmark the permalink.